The 2018-2019 season of our Bancroft Family Concerts kicks off with an impressive program: Dallas Symphony Orchestra Concertmaster Alexander Kerr, joined by DSO pianist Anastasia Markina, shares the music of Leos Janacek, Antonin Dvorak, and Ludwig van Beethoven. 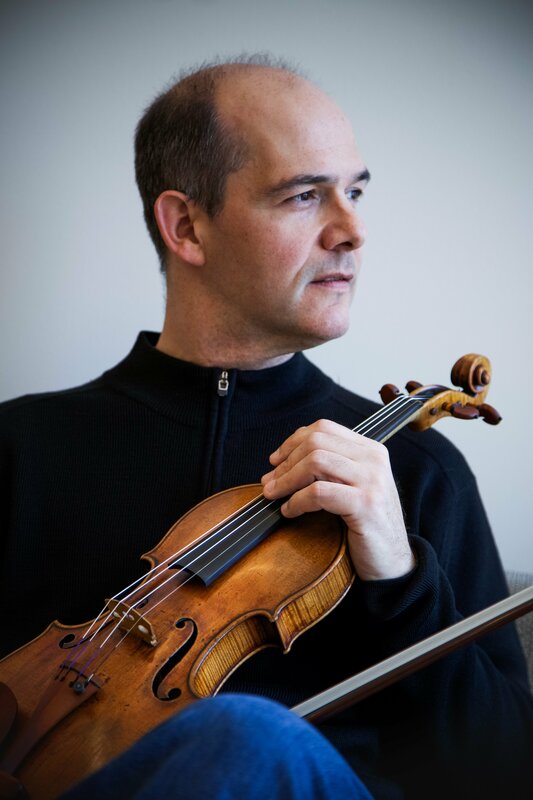 In addition to holding the Concertmaster position in Dallas since 2011, Mr. Kerr is Professor of Violin at the Jacobs School of Music at Indiana University, the Principal Guest Concertmaster of the Indianapolis Symphony Orchestra, and maintains and hearty concert schedule filled with solo and chamber music engagements. Welcome to our stage, Alex! Can you explain a bit about what your role as Concertmaster is? What’s your function with the other musicians/for the conductor? 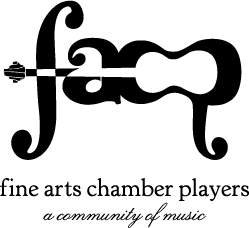 I believe my roles as a concertmaster are as a facilitator and liaison. Whether through my body motions, or suggestions I make to the orchestra, I try my best to help the conductor in front of me realize his/her vision. I also act as intermediary between sections of the orchestra, and between the orchestra and the conductor. What piece on the program are you most looking forward to sharing with our audience, and why? Janacek’s Sonata! It is a rarely performed work and I find it to be a beautiful and exciting piece – there are so many characters and gorgeous harmonic moments. You started the violin at age 7. Why did you choose the instrument? Do you play anything else? I began studying the violin purely by chance. I started with the piano at age 4, studying with my mother (an amazing teacher, by the way!). She drove me so crazy that I begged to play anything else. So, I strode into my elementary school orchestra director’s office and asked if I could play the cello. Unfortunately, there were none available in my size and she needed a violinist. The rest was, as they say, history! When did you decide to pursue music as a career? I think I realized I would be a musician in my middle teens. I was traveling through Europe and thought to myself, “music can take me all over the world and I can get paid to do it!” In fact, my mom recently found a post card that I sent her and my stepfather from Rome, detailing that exact moment. In addition to playing with the DSO, you are a professor at Indiana University. How is it splitting your time between the two locations? Juggling my two lives isn’t easy but I love both so much, I can’t imagine giving either up! When in Dallas, I teach my students via an internet teleconferencing system, so they never lose the continuity of their lessons. It’s a lot of work, but it’s worth it! It fulfills me as an artist. What type of music did you listen to growing up, and what do you turn on now? What kind of music do you share with your children? I grew up listening to almost everything and my current playlists range from hip hop, to jazz, Classical, 80s and 90s pop, hard rock, and folk music. My kids listen to everything I listen to: they are very much into Broadway musicals, hip hop, and pop. Who’s your favorite composer to listen to? To play? I always vacillate between Brahms and Beethoven – it really depends upon the individual piece. What advice would you give 14-year-old Alex? Never let fear guide your life. Be courageous, even when life sends you the most humbling challenges you can imagine. What advice would you give to a high schooler who wants to pursue music in college? Practice, practice, practice. What’s your favorite sound? The sound of the ocean. Your least favorite sound? An ambulance. Finally, when you leave this world and reach the pearly gates, what celestial concert to you hope to hear? I’d love to be a part of a performance of the St. Matthew Passion, Bach conducting, Mozart as my stand partner, and all my friends surrounding me.